Nelson, 29 May 2009I am currently using 1 gb Kingston mini sd card it has mp3, mp4 & 3gp files but my phone runs ... moreYeah yeah..im using 1gb too..i got all kinds of multimedia files and works well too..what im talking about is java applications.. For example,.i am running opera mini to browse the net..opera mini has a file explorer which will browse all the contents of your phone including the memory card..file explore is used for downloading files such as images and etc.. The problem is all applications which has file explorer or something alike..cant read the contents of the phone.... Get it?..when you use file explorer..it just shows you nothing..or 'please make sure you have inserted your memory card'..Or something like that..
UnpredictivE, 29 May 2009Hey..just want to write about browsing with java or j2me applications..well phones java works ... moreI am currently using 1 gb Kingston mini sd card it has mp3, mp4 & 3gp files but my phone runs them well. Ian, 27 May 2009Any body.. i would like to ask if how can i reformat or restore to ist factory setting my p... moreThat problem can be fixed by just resetting the phone with ###847#. 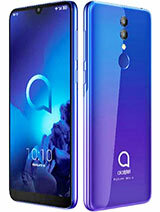 Yes Nelson, indeed this is the top of the range Alcatel OT-S988 finally a real smartphone that deserves the designation S! 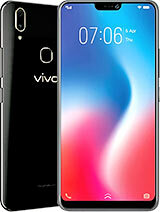 This phone is out very soon in the Chinese market but there is substantial rumour that it will make it to Europe too. Very cool!!! This should make some of the haters eat their words ;) this and the OT-800 (One Touch Tribe) which is truly a MAGNIFICENT little phone. I found a solution to make my phone look unique, unscratched and new again... have it wrapped with G-mask. It's expensive but I think it's worth it. It's OK buddy. I am not here everyday too. I see that Nelson has been taking care of the users here a lot, since I was away! Thanks buddy! 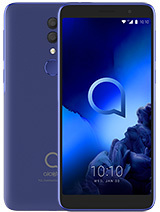 I recommend people if they have a question about this phone or any other Alcatel to send an email to me at un112@msn.com or to Nelson, that way you will surely get a reply soon. If you post on this message board however I can not guarantee a quick reply as I am not always on here. So please people email if you desire and answer to your questions. Thanks Cris. I'm sorry I forgot this model because I thought you mean OT S680 (the one I have right now). OT S860 is just a white version of OT S853. 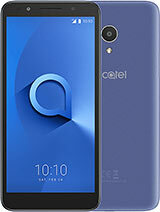 You can also see some of the alcatel models at wapzon.com. 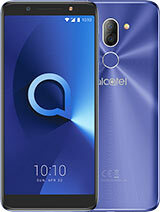 You can see the alcatel ot s860 model. crisfall, 27 Mar 2009which is better phone? 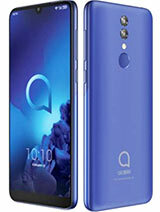 ot s853 or ot s860?There's no OT S860 model in Alcatel but if you mean OT S680 OT S853 is still the best phone when you're preference for a phone is music. OT S853 is still the best in sound quality. OT S853 has mp3 player and fm both with good sound quality. Again OT S853 has a very good sound quality although other phones may be louder than this. OT S680 is a touch screen phone and is also good because it has fully-working bluetooth and has other good features too and is capable of handling micro sd card up to gb. Also, I would like to inform everyone that OT S686 is also a very good phone. I am currenlty owning it has good functions too and it has fm and mp3 player too. 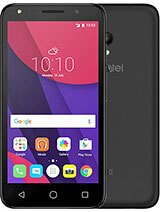 which is better phone? ot s853 or ot s860?